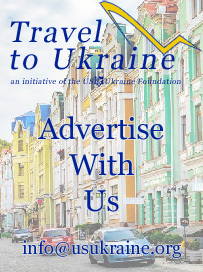 Based on its successful effort of bringing together a number of partners for this year’s New York Times Travel Show, the U.S.-Ukraine Foundation is again organizing a Discover Ukraine exhibit for next year’s show, which will be held January 26-28, 2018 at the Jacob Javits Center in New York City. Booth participants at the January 2017 show included: JC Travel, Solo East Travel, Ukraine International Airlines, the City of Kyiv Tourism Office and Ukrainian Catholic University’s Summer School. 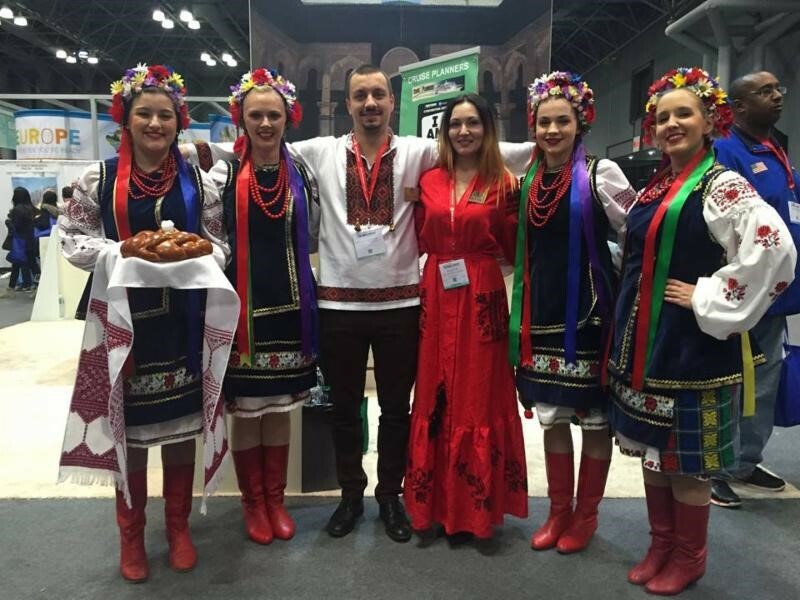 Representatives of JC Travel and the Iskra Dance Ensemble at the New York Times Travel Show 2017. The Veselka restaurant of New York provided a “taste of Ukraine” — a varenyky/pierogi-making demonstration with free samples of the signature Ukrainian treat for hungry would-be travelers. And the Iskra Dance Ensemble of New Jersey entertained the audience with their repertoire of Ukrainian folk dances. 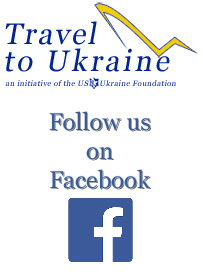 USUF also collaborated with the City of Lviv Tourism Office on a booth devoted exclusively to Lviv. Adrian Karmazyn (L), Julia Kulik and John Kun at the Discover Ukraine booth. Attendance at the 2017 Travel Show, held January 27-29 at the Javits Center in NYC, reached a new record of 30,099which is the highest attendance in the show’s history. Attendance included 9,253 travel trade and 20,846 consumer attendees. The number of exhibiting companies also hit a new record with 560 companies representing over 170 countries. 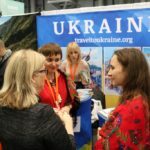 To read an in-depth Ukrainian-language article published by Nova Gazeta about this year’s Ukrainian presence at the New York Times Travel Show click HERE. (The article is on page 22). 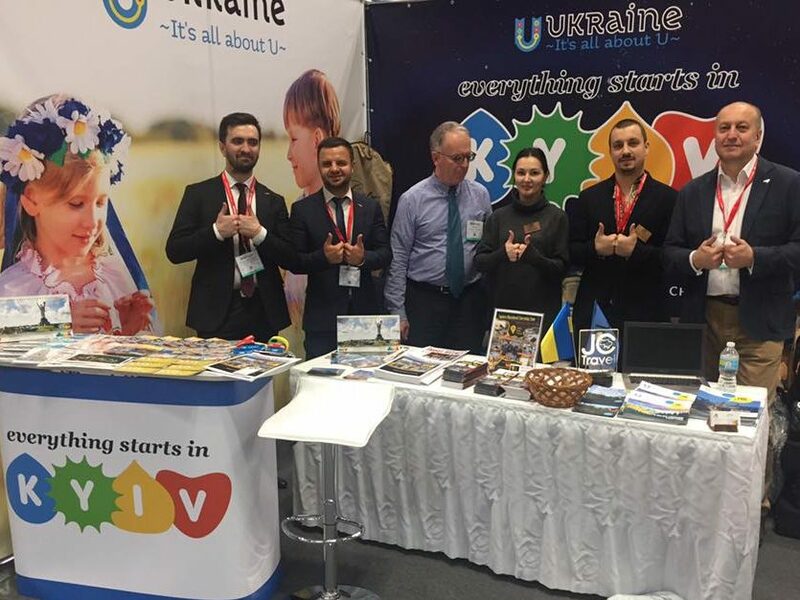 USUF extends special thanks to Michael Buryk of New Jersey for his help in organizing several key elements of the Discover Ukraine booth and related activities, and Nataliya Bondar of Washington, DC for her outreach to Ukrainian firms in the travel/hospitality industry. Both assist USUF’s efforts in supporting USUF’s Economic Development Program for Ukraine. 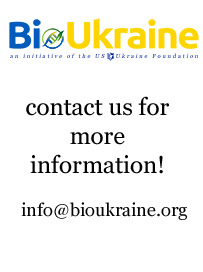 Companies seeking promotional opportunities or in participating in the 2018 Discover Ukraine exhibit, should contact USUF. Photo at top of page: At the New York Times Travel Show 2017, from left, Volodymyr Ganelin, Anton Taranenko,John Kun, Julia Kulik, Alexander Skripnik, Oleg Lytvyak. Vincent Rees (Cobblestone Freeway Tours) and Halyna Malets and Mariana Oleskiv of the Lviv Tourism Office.